HomeSite NewsBought a new house in Bridgeland! Bought a new house in Bridgeland! 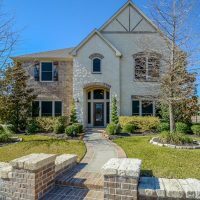 I’ve been house shopping for a few months now and recently set my sights on a house in the Bridgeland neighborhood of Cypress, TX. 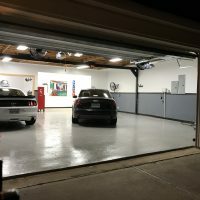 It’s about 10-15 minutes farther away from work, but the best part of this house is the massive garage. The house itself isn’t too bad either! 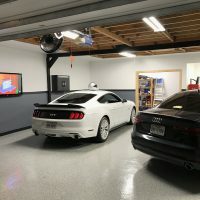 The garage will let me shoot a lot more car videos and give my projects more freedom. I want to get a TIG welder and I’m starting TIG welding classes this week. Front of the new House. 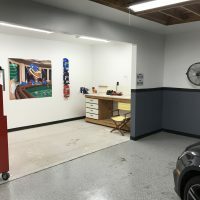 Garage is all cleaned up and fans are installed. AC coming next? Got the older TV mounted on the garage wall. The work bench that came with the garage, needs paint! 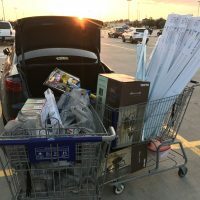 Run to Lowe’s to pick up LED lights and other goodies. So far I really like Bridgeland. The neighbors are friendly, things are pretty quiet and there are tons of amenities. There is a small water park and many miles of man made lakes and walking/cycling trails. They even had a fireworks show for the 4th of July that was pretty awesome. I plan to make small updates to the house. 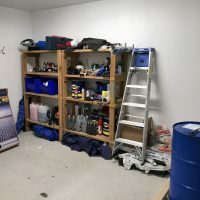 So far I’ve changed all the lights to LED including the garage fluorescent tubes. I’ve also changed out the locks and am installing a coded deadbolt for the garage. I setup the new media room with a 65″ Samsung 4K TV which is awesome. On last Friday I got two new sectionals and a dinging room set delivered which really helped fill those rooms out.